Natural hair is having a moment – again. Historically a politicised issue, natural black hair finally infiltrated the mainstream when the ‘fro was famously sported by activist Angela Davis and actress Pam Grier. They styled it loud and proud to reflect the political sentiments of the time; namely, black power, militant feminism and a general resistance to cultural and beauty assimilation based on Eurocentric ideals. Today, as discussions of racial politics dominate the barber-shops and blogs, the natural hair movement is enjoying a defiant resurgence. But as colourism threatens to limit cultural-beauty progress and isolate and erase darker women, we have to question: have we really come that far? The natural hair movement has boomed in recent years, and is today a social media-led discourse comprised of black video tutorials, hair-care tips, and a cultural shift towards redefining the position of ‘natural’ black hair within the hegemony of Western beauty through empowerment and acceptance. A quick search on Instagram for #naturalhair yields 7 million results, but look a little closer and you’ll see that most successful ‘naturals’ within today’s movement are light-skinned, mixed girls in possession of looser curl patterns that grow down, not out, or, the occasional darker-skinned woman born with kinks that are more susceptible to manipulation and length retention techniques. The message is in this sense is clear: the politics of black hair certainly doesn’t escape the natural hair community, and colourism is rampant. The more African in you and your hair, the less likely you are to see your representation online, with many black women arguing that they are being erased from the movement entirely. Natural blogger Tanieka Randall lost her hair to leukaemia in 2011. Throughout her recovery, she documented her hair regrowing on Instagram – later using her public profile to launch her own haircare range. A black woman from Houston with a huge following across several social networks, Randall disrupts the dominant narrative which dictates that only mixed women with Caucasian heritage are able to grow long, healthy hair. But despite her success, Randall has experienced colourism within the natural community online. Dig a little deeper, however, and you’ll stumble across an uglier side to the natural hair movement. Memes shaming darker-skinned women for their coarse, nappy hair, and memes mocking those who still opt for un-natural styles with a ‘creamy crack’ (relaxer) or weave, are everywhere. Even though UK sales of relaxers fell by 26 per cent between 2008-2013 (the only category in the black haircare sector to decrease in growth, many women know how to achieve long, healthy hair with chemicals, and express frustration at being shamed online through a movement that preaches inclusivity. As well as this, some online natural gurus are known to promote paraben-filled products as the key to good hair health and the hypocrisy is laughable; chemicals are apparently OK if being used on full heads of ‘natural’ frizz. Some of these same naturals also make a smug link between having curly hair and being enlightened, or ‘curly conscious’. But of course, there is no higher purpose to having a looser curl pattern and rocking a ‘fro doesn’t make you a better feminist or advocate for minority rights – it just means you’ve exercised a personal choice over your hairstyle. Despite the divisions and tensions though, we can see some positive effects of the natural hair movement trickling down into mainstream culture; tentative inroads are being made to reclaim the ‘fro in fashion with brands like Marc Jacobs, Prada and Burberry all choosing to embrace black hair on the catwalk, and Beyoncé’s Formation song was celebrating braids, baby-hair, afros and the once-shamed space of the weave shop, through strong visuals and lyrics. And the natural hair movement can also incite serious political change, too. When Bahamian student Tayjha Deleveaux was suspended from her school in February 2016, for wearing her hair in its natural state, outrage at her treatment by the school authorities led to the viral hashtag #SupportThePuff globally. Her mother Kessa Deleveaux tells me about the fallout from her unexpected global fame. “I never anticipated the support and attention that the #SupportThePuff movement would receive. It warms my heart to see so many women of colour embrace their natural beauty regardless of what society dictates”. She goes on to add, “The headteacher called Tayjha’s puff ‘outlandish’, which is absurd. How can someone’s natural hair be considered that way? You instil hate when you promote such nonsense, you encourage them to wear weaves that further damage their hair. To threaten them with suspension or give them an ultimatum to perm their hair is just crazy”. I too supported Tayjha’s hashtag even though I’m relatively new to the natural hair movement. 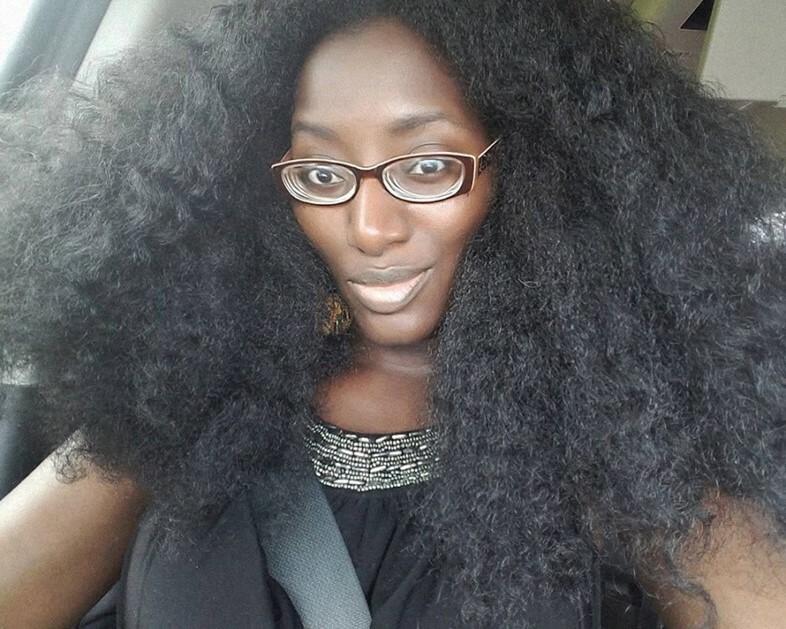 As a former frizz-hater who wore weaves for years while growing up in communities where my hair type wasn’t reflected around me, Instagram and YouTube were instrumental to my hair education and have influenced my decision to go natural for the past four years. I find hair care tips with ease, because despite years of disparaging it, I know that my fine, frizzy ringlets are represented on nearly every site celebrating the aesthetics of black hair. Not all women can say the same. Social media is a great tool in helping black women shape their own identity with the natural hair movement. Many women previously frustrated with the cultural status quo can now protest against the dominant force of white beauty ideals through celebration of their hair - and it’s important they continue to do so. However, the movement is in danger of limiting itself, due to colourism frictions which not only elevate light-skinned woman over dark, but shame others for rejecting their curls. If we are to see the movement spawn more politically-aware global hashtags, and infiltrate mainstream fashion and beauty trends, we first need to represent a diverse range of black women in our own communities. Although we can’t blame the fans or the bloggers for the limited representation of black beauty tropes online, we must rid the natural movement of colourism to ensure that its success (like that of so many other Western beauty trends) is not based on its proximity to whiteness.